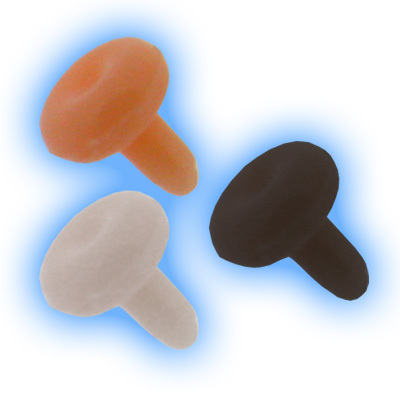 Piercing hider studs made out of Bioflex with clear, flesh tone or black ends, great for hiding ear or facial piercings from schools or work, also ideal for X Rays or MRI Scans. Clear is now back in stock! Getting a piercing is great but unfortunately schools, colleges and work places do not always share our love of piercings and ask us to remove them. We get lots of phone calls and emails from people asking how they can hide their ear piercing or facial piercing. 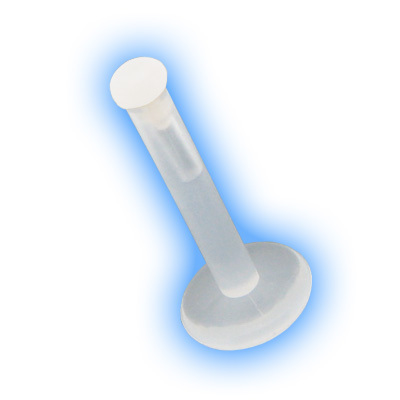 We have a great solution, these internal labret studs are made out of Bioflex which is a bio compatible material, it is lightweight and contains no metal at all, which also means that it is perfect for X Rays, MRI Scans or medical precudures when metal cannot be worn. I work in the NHS this is ideal to wear as a retainer/cover, its not a perfect skin match but good enough to hide a piercing from prying eyes. Perfect for pierced ears on school days in sixth form. My son wears it, barely visible. I got these to hide a lip piercing for my job and they suit this purpose perfectly. I don't know about other facial areas but if you need to disguise and maintain a side lip piercing they are really subtle and people in work didn't notice until I told them it was there. "Thank you so much ! Fabulous customer service"